Understand all terms and conditions including the deposit amount and the methods of payment. Information available on buyer’s guide and/or the catalogue on our website. 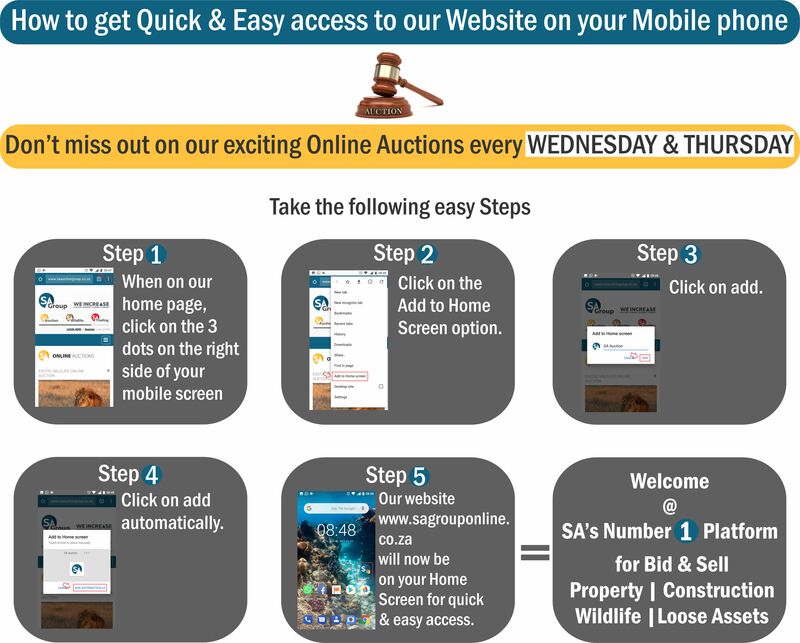 Familiarise yourself with all the lots on the auction, before you decide what you are interested in. Make sure you know what you are buying. Do not wait until the last minute to register, you might lose out. First things first, be sure to read the conditions of sale. There are a number of conditions under which you bid such as VAT and commission protocol. Make sure that the auctioneer sees and acknowledges your bid. Once the item is knocked down on you, the sale cannot be cancelled. You must have the money available before hand. Should you require financing, obtain prior to auction (refer to conditions of sale). Take note: bidding prices do not include VAT or any documentation fees (refer to charges). Usually a deposit fee is charged at every auction. Check the deposit amount at the registration office or on our website. Registered vehicles carry a documentation fee. A 2% cash deposit fee is charged. VAT is charged to all knocked down prices. Buyers commission plus VAT is also charged on top of knocked down prices. Our registration desk will refund your deposit if you made no purchase(s). Allow for a reasonable time for funds to be made available. When a purchase was made, you will receive a proforma invoice for payment. No item will be released, unless full payment is reflecting in our bank account. You need to contact our admin office on 079 339 5915 or admin@sagrouponline.co.za to arrange for the release note. Prior to collection you need to provide our admin office with the name and ID number of person that will be collecting. Upon receiving information required as per point 3, a release note will then be provided to the buyer and seller accordingly. Collection will be strictly by appointment and during office hours from: Monday – Friday. SA Group and its affiliates will not be responsible for any losses incurred due to above process not followed or any other circumstances beyond our control.